serving Warrenton and Northern VA areas. 1.The Virginia Association of Realtors Salesperson of the Year Award. 2.The Greater Piedmont Area Association of Realtors Ethics Award. 3.The Greater Piedmont Area Association of Realtors Realtor of the Year Award. 4.The Fauquier Association of Realtors Salesperson of the Year Award. Call Gloria at (800) 341-7057 or Email Gloria.come2warrenton@gmail.com Today! If finding a wonderful community in which to start or raise a family is on your agenda, then you have come to the right spot to gather important information about Warrenton Homes. Located within a reasonable commute to Washington D.C. this historic community has won a number of awards for outstanding management of local resources, protecting open spaces and preserving historic architecture. As a real estate agent in Warrenton, VA with Realtor® designation, I always find it a pleasure to introduce out of Towner’s to the community. Many have chosen property for sale in Warrenton, VA for their small town feel, accommodating approximately 9, 470 residents, that are drawn to a small town that has a dedication to community activities, award winning education, recreation and outstanding town services. The average age of a Warrenton resident is 39 years and has family life in mind. Relocating to a new area can be overwhelming. Options for real estate in Warrenton, VA, include single family homes that can range from a traditional 3 bedroom 2 bath home to a Country Estate with 22 bedrooms and 13 baths. This community really embraces its small town roots, embodying an emphasis on superior education, outstanding community activities, and wonderful recreation and park services. The town was incorporated in 1810 and honorably named after a Revolutionary War Hero, General Joseph Warren. General Warren a Patriot through and through, not only proudly served during the war, but was also closely related to Paul Revere. The colonial feel cannot be overlooked when touring this adorable town. Use this website to find featured Warrenton Homes for Sale, local schools, parks and recreation, and to browse local Warrenton Real Estate. In addition to a historic colonial past, Warrenton VA Homes enjoy a rich equestrian culture. If you are seriously considering a move to this area, consider a stay at The Black Horse Inn, a local attraction in the midst of Horse Country. Yes, you are in the country when you live in Warrenton, VA. A must see for the area is the Cows-N-Corn Family Farm. It is a genuine dairy farm with all of the trappings. Properties available in Warrenton covers the spectrum, from small single family homes to large Equestrian Estates and Working Family Farms. Looking for something a little different, not quite a bedroom community, Culpeper Virginia is a wonderful place to visit and a great place to live. 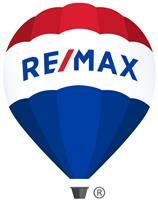 The Culpeper Real Estate market has a median sales price of $165,000 and an average listing price of $300,000. 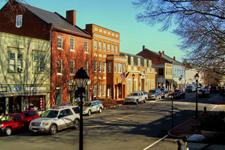 Culpeper could easily be called one of America’s best small towns and was so voted in 1993. A short distance from Warrenton and filled with even more Victorian charm, the community boasts a main street to remember. The down town historic district is lined with quaint shops, art galleries and restaurants. Culpeper home buyers have a wide range of architecture to explore, the towns 250 plus year history has left it with 14 distinct architectural styles to choose from. The original town plan was designed with 10 town blocks which make up the core of the down town historic area. Take the family on a trip to true American Treasure and visit Culpeper Virginia. Please feel free to contact me directly if you have any questions about the Warrenton VA real estate market, or buying or selling a home in Culpeper or northern Virginia.